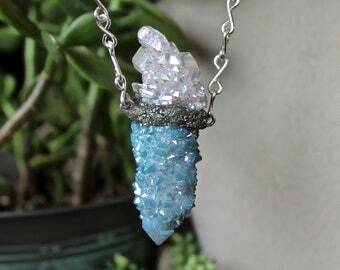 A stunning angel aura spirit quartz crystal cluster has been attached to a crushed pyrite bail with an angel aura opalite moon securely resting on top and natural emerald, turquoise & moonstone gems set off to the side. 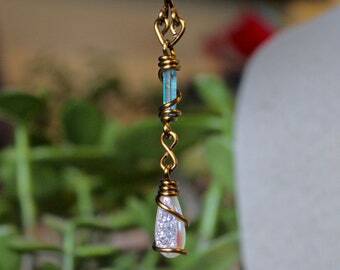 There are teeny tiny double-terminated Tibetan quartz points sprinkled throughout the pyrite. 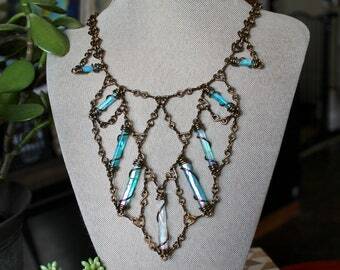 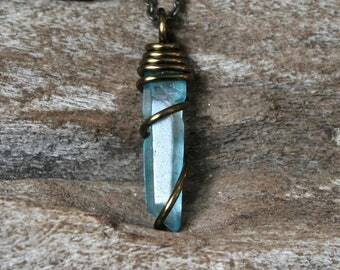 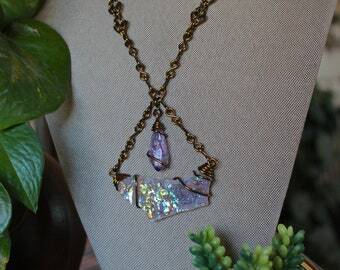 The crystals come on one of our *signature* handmade bronze chains and the total length of the angel aura quartz necklace is 22 inches. 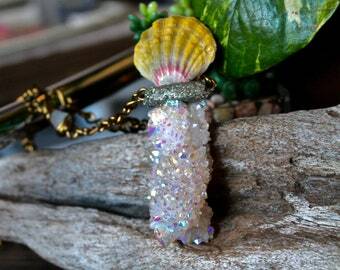 If you need a custom length please contact us! 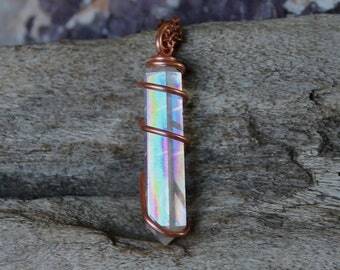 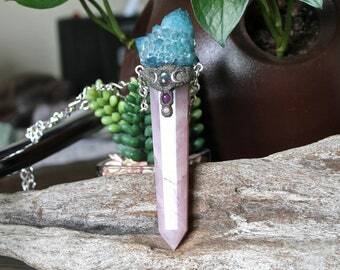 *Angel aura spirit quartz measures 1.8" across x 1.5" long, angel aura moon measures 1.4" across and total length from the top of the angel aura moon to the bottom of the angel aura quartz point is 3 inches. 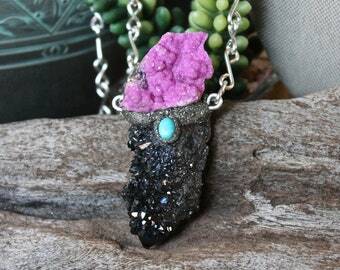 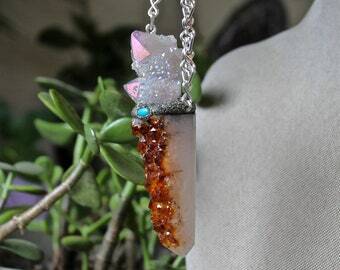 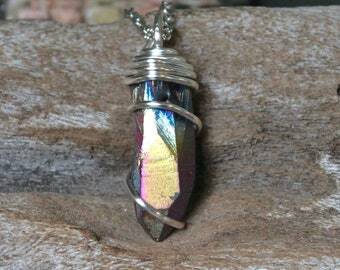 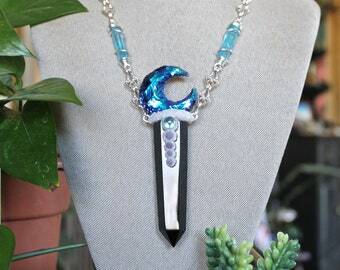 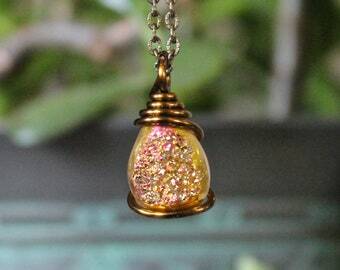 Please take a look at all 10 photos to get a better idea of the true size and beauty moon & aura quartz necklace! 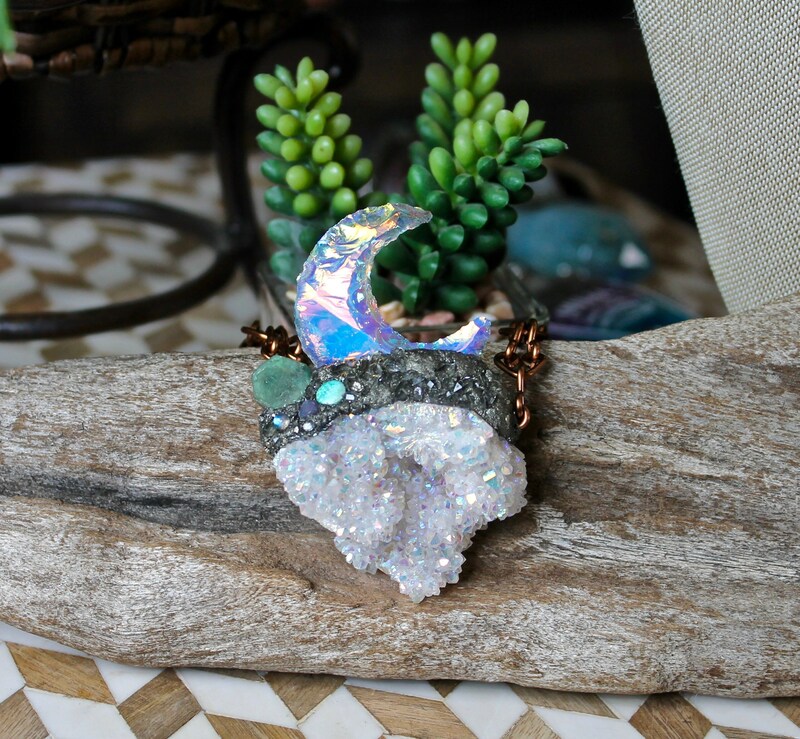 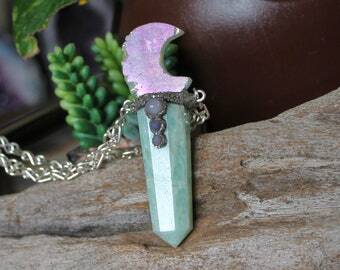 *The crescent moon is opalite that has been bonded with platinum and silver to receive its rainbow essence. 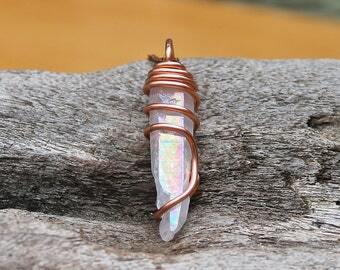 Opalite is a manmade stone.